﻿ Best Price on Condo Hotel Caribey in Las Terrenas + Reviews! This hotel in Pueblo de los Pescadores Las Terrenas features 2 outdoor pools and a sun terrace overlooking the bay. The apartments include a kitchen, free Wi-Fi and access to an outdoor terrace. Condo Hotel Caribey provides the apartments with cable TV. 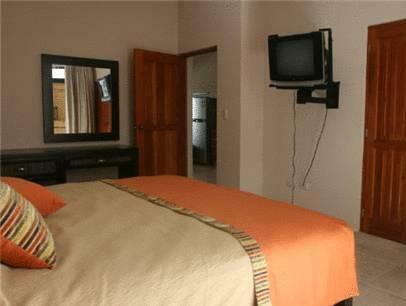 They are furnished with a separate living area and dining facilities. 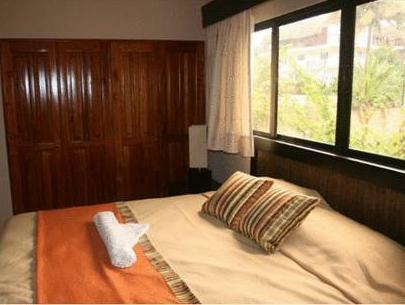 The hotel offers currency exchange services and laundry facilities and tourist information. Caribey Condo Hotel also features barbecue facilities and a power plant.